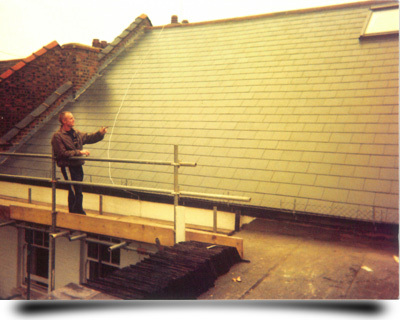 T. J. Copping Ltd is a family run business with a long history of providing high quality roofing services. 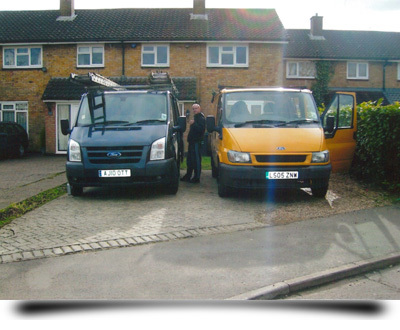 Over many years we have built a reputation for excellent, friendly and reliable service in and around Hertfordshire, Bedfordshire and North London. We are proud of the hundreds of testimonials from satisfied customers displayed on our website. T. J. Copping Ltd was started in 1960. 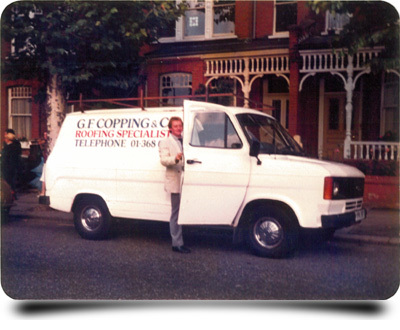 It was formerly known as G F Copping Roofing Specialists and Company which was established in the late 1950s by my Grand Father George and his Father, Fred. The four generations of the Copping family before my Great Grand Father were builders. 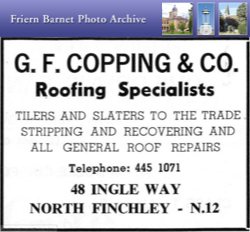 GF Copping Roofing Specialists was first based in East Finchley. The Copping Family can trace its roots back to the early 1800s in East Finchley, and before that in Shoreditch in East London. George Copping lived in Woodhouse Road, North Finchley. Fred also lived in Finchley and his house had a corner plot with a small yard which was used to store reclaimed tiles and slates. It was still there in to 80s and I remember playing with my brothers in the yard. We would explore the building materials and see what treasures we could find. I have wanted to be a roofer for as long as I can remember. I started working with my Father when I was 14 on weekends and school holidays. At the time his team included Fred, Brian, Donald, Robert and Geoff - seven members of the Copping family all working as roofers. We mainly worked on jobs around North London and that tradition carries on today with a substantial portion of our customers located in Finchley, Barnet and Hampstead. 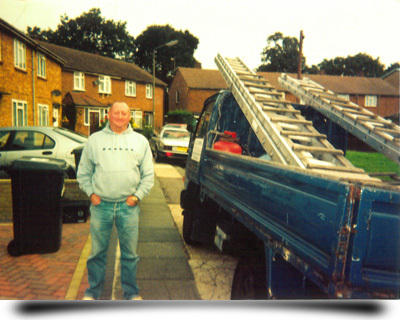 I started working as a roofer full time in 1998 when I lived in Edgware. Every morning I would drive down Totteridge Lane to Barnet to meet my Father and Uncle Brian at his house. My Father and Uncle taught me everything they knew about roofing and I learned the trade from the bottom up. 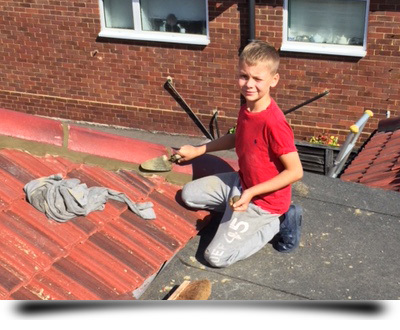 Over the next few years I worked hard to become a fully qualified roofer but that was not the most important thing they taught me. The most important skills they gave me were the ability to look after our customers and to do a professional job for a fair price. Here are two estimates from 1973 and 1980. The cost of the works in 1973 came to £708 including the VAT! T. J. Copping Ltd have completed a huge amount of work for local authorities. Here we have a purchase order from Mill Hill County High School in London placed in 2011. This commission was for repairs to a roof and guttering. We are proud to support local sports events and have done so for many years. Here we have a leaflet from Barnet FC for the season 1969-70. As you can see T. J. Copping Ltd have an advert within the program. For the 2014-15 season we chose to sponsor the Barnet FC player Luisma Villa. If you need experts in roofing, call us today on our office number: 0800 023 8350, our mobile number: 07961 147 476 in order to discuss your requirements in detail, or to arrange a free quote. Alternatively, please fill out the form on our Contact Us page.